Process driven with attention to detail our team run large and small scale projects with effectiveness and efficiency. A high standard of work and ethical business practice are a non-negotiable. The wildfire environment is dynamic and the systems which aim to prevent and react to wildfire are even more complex. There are many challenges which need to be solved and our team excel at analysing all the variables in order to find workable solutions. Being aware and understanding wildfire risk is a shared responsibility. In order to reduce the impact of wildfires, action is required at a strategic level but most importantly this needs to feed down to ground level. Vulcan works hard to solve this challenge. The wildfire industry, in order to evolve, improve and react to the changing environment requires change to occur. 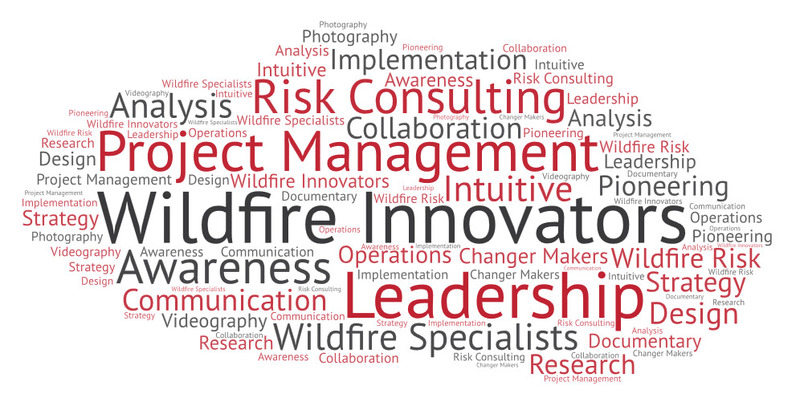 Vulcan Wildfire Management, since its inception have been a change maker, introducing positive initiates and positively challenging the status quo. 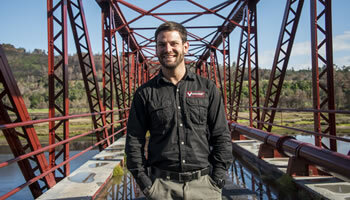 Ryan Heydenrych and Patrick Ryan launch Vulcan Wildfire Management (Pty) Ltd which was built with a business development model with the objective of offering impactful wildfire solutions. 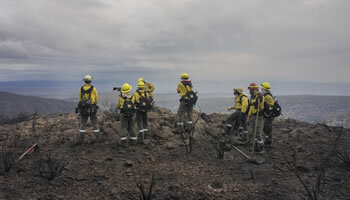 The Vulcan Specialist Wildfire Crew; a top level, wildfire focused, firefighting ground crew with full time leadership was the first business unit to be developed. Since then the service offering has expanded significantly. 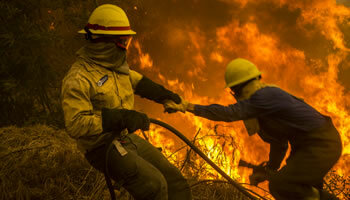 Vulcan Wildfire Management was appointed by the Western Cape Government to operate a specialist wildfire crew, the first of its kind, from 1 December 2015 – 30 April 2016. Vulcan’s strategy involved investing and providing the right type of environment for real crew development. Vulcan chose to keep their crew operational for a full 12 month period (despite the contract being for 5 months) in order to apply the crews specialist skills to Integrated Fire Management tasks. 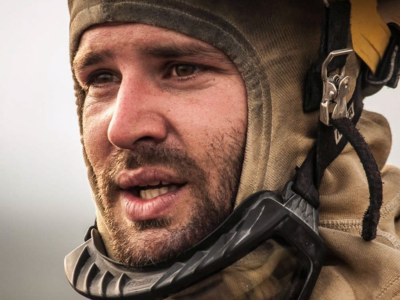 Video: The First South African Specialist Wildfire Interagency Ground Crew. 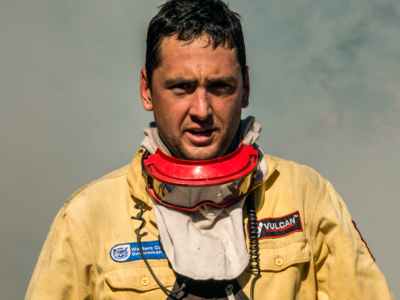 Vulcan Wildfire Management welcomes the incredibly talented Dean Harrison as a Director. Dean understood the vision and drive of what Vulcan Wildfire Management was setting out to achieve. His energy and skill set are a great asset to company. Check Protect Survive is launched. 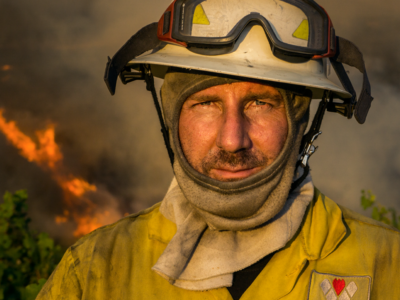 Every CHECK PROTECT SURVIVE™ report is customized specifically to address wildfire risks associated to homes, communities and farms. Our service includes consultation, onsite risk assessment and reporting. Our solutions are detailed and action orientated to deliver results. 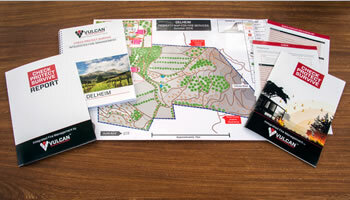 Vulcan Wildfire Management produced both the Fireline Safety Pocket Guide and the Activity Log Notebook for the South African wildfire industry. 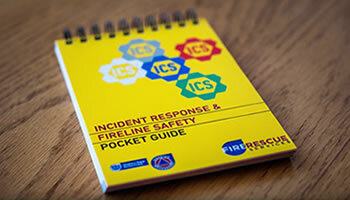 For many years international pocket guides have been used by wildland firefighters and incident managers in South Africa. These guides have proven incredibly useful but often contained information not relevant for a local context as well as missing some local knowledge. 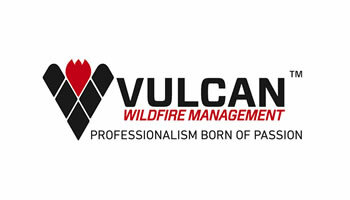 Fireline Safety Training was developed and presented by Vulcan Wildfire Management. The course continues to develop and offers participants an engaging environment in which they can take a fresh look at their approach to safety. Operating within a complex and evolving wildfire environment exposes fireline personnel to occupational risks. 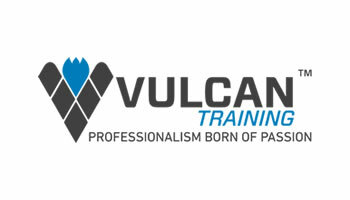 Vulcan Training launches their exciting brand of incident management, operational and preparedness specific training in 2017. Training is the inspiration, the kick start you need to develop and grow. It is the vital beginning of a process. Training must deliver on this promise, or else it fails you, and sets up the unwanted position of only learning by mistakes or learning on the go. 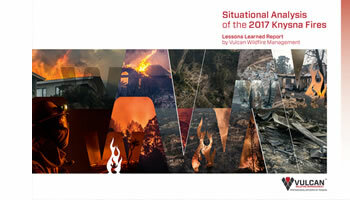 Vulcan Wildfire Management (Pty) Ltd was appointed by the Western Cape Directorate Disaster Management and Fire & Rescue Services to launch a task force to analyse and document the June 2017 Knysna (Elandskraal Fire) and Plettenberg Bay (Kruisfontein Fire) wildfire incidents (also known as the Knysna Fires) and, thereafter, produce a comprehensive report with a summary of findings and recommendations. 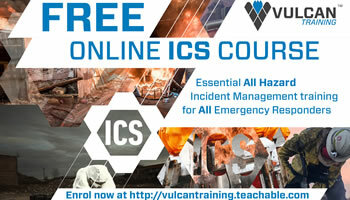 Vulcan Training launches Free Online ICS 100 course. 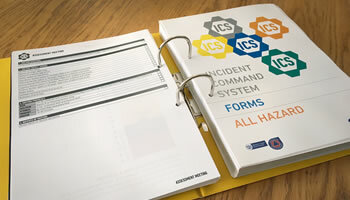 ICS 100 introduces the Incident Command System (ICS) and provides the foundation for higher level ICS training. This course describes the history, features and principles, and organisational structure of the Incident Command System.